How long have you been at Luton Market – Since forever. Tell us a bit about your business – Are you ready? Well ‘Smart Mobility’ has a reputation for customer service and value for money, and we are one of the leading mobility scooter retailers in the UK! 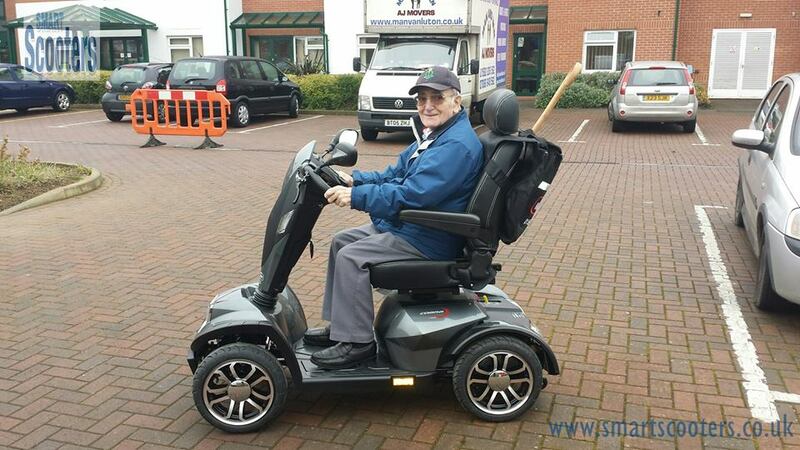 We stock a large range of mobility scooters and power chairs, as well as a large range of disability aids, all at the lowest cost with the best service available. We offer a full sales and after care repair service, and FREE delivery & FREE Collections. Why not come in and try before you buy from a full range of riser recliner chairs on display, and in store. Tell us something interesting about your business: We are apart of all the coolest clubs. We are trading standard approved. You can check us out on the ‘Buy with Confidence scheme’, and we are OFT Code approved. Lastly, we are members of the British retail health care trade association. We support Britain’s economy by buying our British made riser recliner chairs. Here at Smart Mobility you’ll find the largest showroom in Luton! On top of all of the above we also offer a range of aids, such as walking frames, wheelchairs, bath lifts & grab rails. Stay up to date on market events, news, and special offers on Facebook,Twitter and Instagram!